Also, compared to the Versailles palace in winter, the garden looked much more beautiful, especially because water flows from the fountain and all the statues are uncovered. The garden looks more lively now. 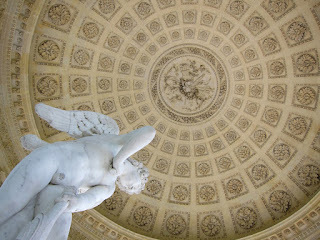 We also visited the Grand Trianon and the Petit Trianon. 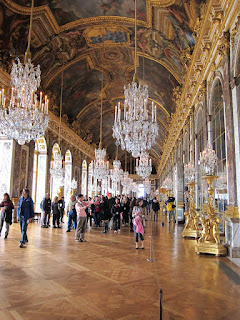 Both have different charms from the Versailles palace. The pink coloured marble gives lovely appearance to the Grand Trianon, it's like a little gem of the Versailles. The Petit Trianon is quite different from elegant and gorgeous palace, but it is very simple and idyllic. 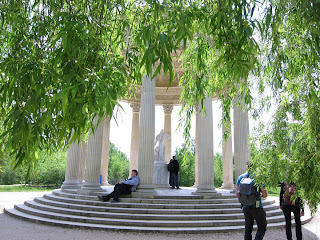 The garden of the Petit Trianon was quite extensive than I remembered... 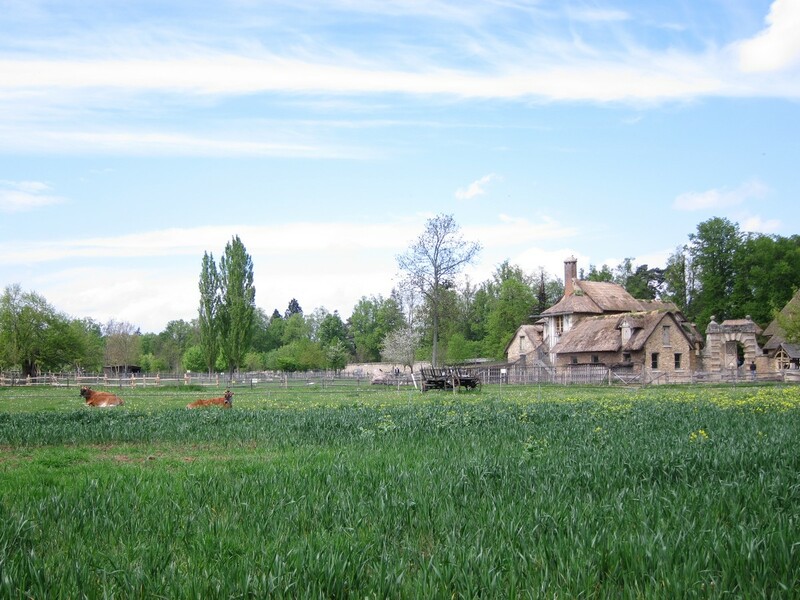 But, the garden replicates the countryside elegantly in the beautiful nature. 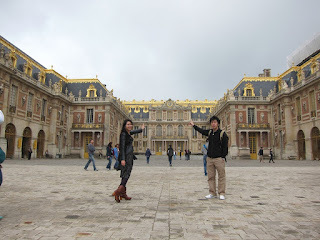 Versailles is far bigger than my brother and husband imagined. 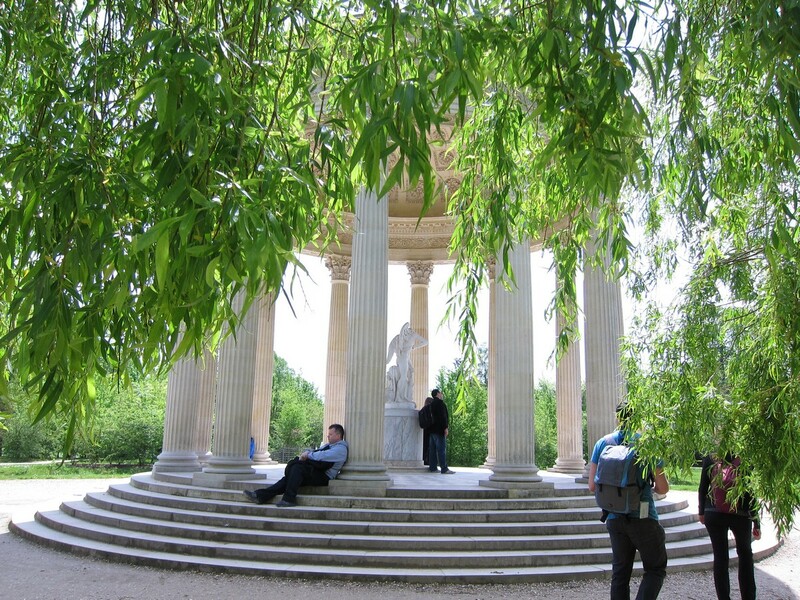 We all tired of walking after visiting the Versailles palace, the Grand Trianon, the Petit Trianon and its garden. But, the Versailles is surrounded by beautiful nature, and I think it would be nice to take time to enjoy walking in the vast garden.